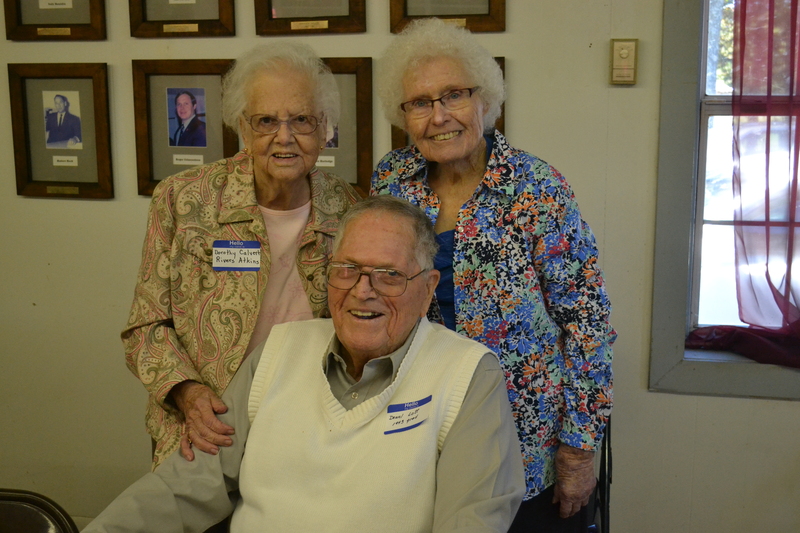 CRANE HILL – “There’s a lot of good memories here,” 1946 Dowling Junior High graduate, Dolores Williams Lott, said with a smile Saturday, when former students gathered at Dowling Memorial Park for a reunion in the former school’s cafeteria. The cafeteria survived the fire that destroyed the school in 1996 and has been restored to be used for school reunions and other events. It also houses a small museum exhibit of memorabilia from the school. The site of the old school is now known as Dowling Memorial Park. Graduates from as far back as 1943 came to catch up with old classmates. A lot of fun memories of ball games, bus rides and instances of “playing hooky” were shared. Graduates reminisced about good times and enjoyed a pot luck lunch.